Joplin, Mo. 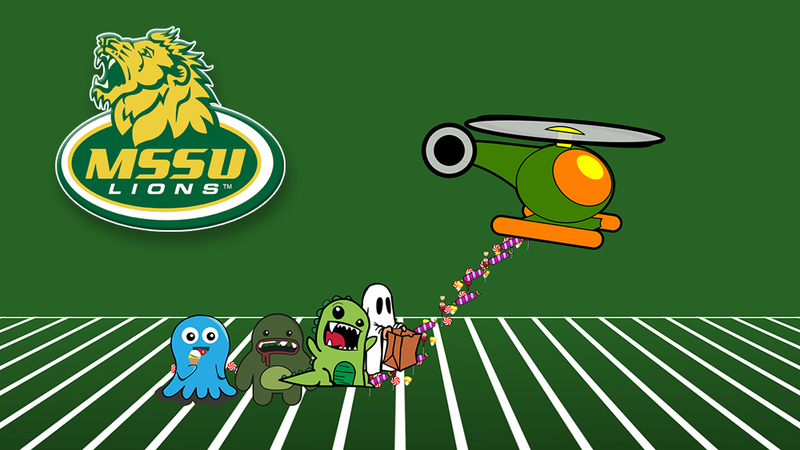 – In honor of Halloween weekend the Missouri Southern Athletic Department will be hosting a Candy Drop following the home football game on Saturday October 29th at Fred G. Hughes Stadium. As soon as the teams clear the field a helicopter will fly over the stadium dropping over 8,000 pieces of candy on the turf. After the helicopter clears the area kids of all ages will then be invited to come onto the field and collect as much candy as they can! Kickoff is set for 2pm and the candy drop will take place post-game. For more information or tickets contact the athletics department at 417-625-9339. Those wishing to buy tickets to the game can do so online, but clicking here.